Pandit Chhannu Lal had proposed Modi’s name during the 2014 general election as Bharatiya Janata Party candidate from the Varanasi parliamentary seat and is among the ‘navaratna’ (nine-gems) appointed by the Prime Minister for the ‘Swachh Bharat Mission’. Disappointed with the Uttar Pradesh and central governments for failing to recognize his contribution to classical music, well-known classical singer Pt. Chhannu Lal can have his own way to protest: he may not become a proposer of Prime Minister Narendra Modi’s candidature, this time. He had proposed Modi’s name during the 2014 general election as Bharatiya Janata Party candidate from the Varanasi parliamentary seat and is among the ‘navaratna’ (nine-gems) appointed by the Prime Minister for the ‘Swachh Bharat Mission’. In an interview with IANS, 83-year-old Lal said there is no classical singer in Varanasi of his age. Despite dedicating his entire life to the art, he has not received respect from the state or Central government, he said. On account of his works, Lal and his fans in Varanasi expected state patronage. “People think I am not the right person to be conferred with such awards,” he said in dejection. “If they don’t think (that he deserves an award), I don’t want it,” the vocalist said. 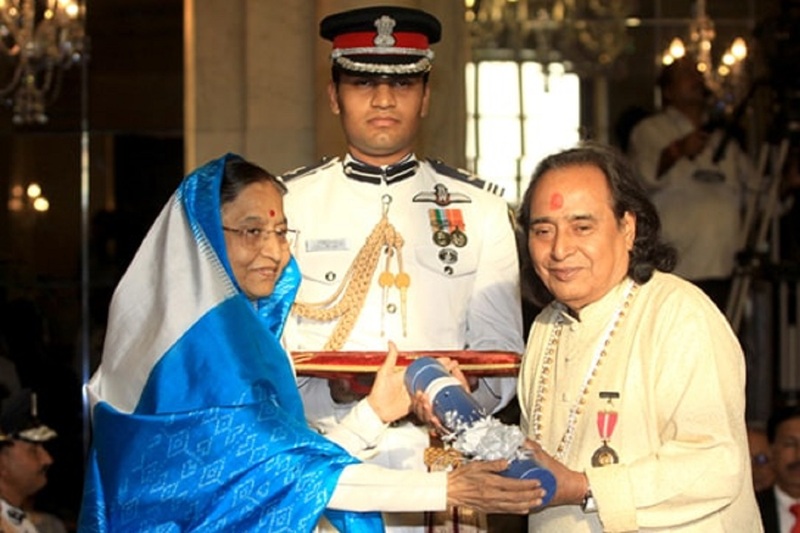 Chhannu Lal was conferred with Padma Bhushan in 2010. “Former Delhi Chief Minister Sheila Dikshit and then Prime Minister Manmohan Singh are great admirers of classical music. Once I performed before them and they recommended a Padma Bhushan for me and I got it. (Then Uttar Pradesh) Chief Minister Akhilesh Yadav also conferred me with Yash Bharati Puraskar. I urged him to initiate a pension scheme for artistes and he started such a scheme for them,” he said. “But, when the new government came, we stopped getting pension. When I asked Yogi Adityanath, he started a yearly Rs 25,000 pension. But, I don’t take it now,” Lal said. “I have not decided anything (on proposing Modi’s name again),” Lal said.